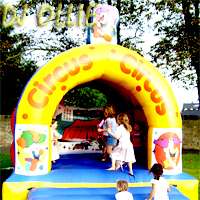 DJ Ollie Mobile Discos and Bouncy Castle Hire York can provide bouncy castle hire for all events in and around the York/Leeds area. Our Bouncy Castle Hire service also covers a range of children’s party services with mobile discos, full party packages and entertainment in the Yorkshire Region and the surrounding counties. We cover all bouncy castle hire york occasions such as children’s parties, birthdays, school discos , kids holiday clubs, children with special needs…all party requirements. Disco Bounce is our very special bouncy castle hire and party experience, combining our excellent mobile disco service, a great bouncy castle plus much more! 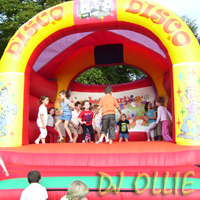 The Disco Bounce package is available for adult hire as well as children, and to the best of our knowledge, DJ Ollie Mobile Discos are proud to be the only business to offer this style of bouncy castle party. For further information about the Disco Bounce package, please contact us through our enquiry form and we will reply to you as soon as possible. Make your child’s party a hit by hiring one of our truly enjoyable bouncy castles. Hire out one of our bouncy castles in York and the surrounding area for daytime or overnight use, or even for the whole weekend. We can offer short, medium and long term bouncy castle hire too so please contact DJ Ollie Mobile Discos if you would like more information. All our bouncy castles are British made, tagged and registered. For further information about the children’s bouncy castle package, please contact us through our enquiry form and we will reply to you as soon as possible. Why should the kids have all the fun? 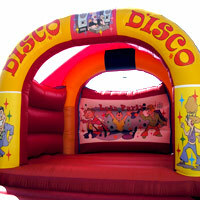 DJ Ollie Mobile Discos are equipped with adult bouncy castles available for you to hire. 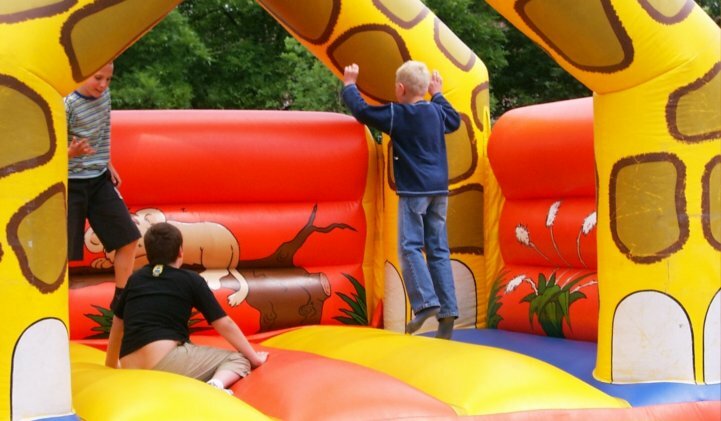 Hire out one of our bouncy castles for daytime or overnight use or even for the whole weekend. We also offer short, medium and long term bouncy castle hire too so please contact DJ Ollie Mobile Discos if you would like more information. For further information about the adult’s bouncy castle package, please contact us through our enquiry form and we will reply to you as soon as possible.